One of the buildings to which the Palace Square owes its name is the Palace of the Academies, which currently houses most of the Academies of Belgium, including the KVAB. Between 1828 and 1830, it was the home of Crown Prince William of Orange-Nassau and his wife Anna Pavlovna, daughter of Czar Paul and Grand Duchess of Russia. For a certain period it was also the residence of Crown Prince Leopold, at that time holding the title of Duke of Brabant, to which Hertogdstraat (“Duke street”) refers. The palace is a late but pure example of neoclassicism, the palace style of the Enlightenment. This architectural gem was designed according to pure geometric proportions, renaissance symmetry and axiality. 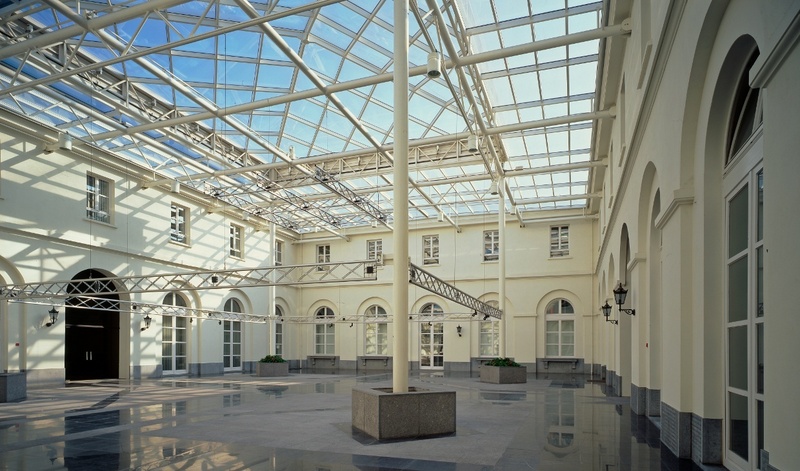 The KVAB makes its rooms in the Palace of the Academies and in the Throne Building available for scientific or artistic meetings of an academic level. The capacity of the halls is up to 250 people. Interested parties may submit a written application via the online form. 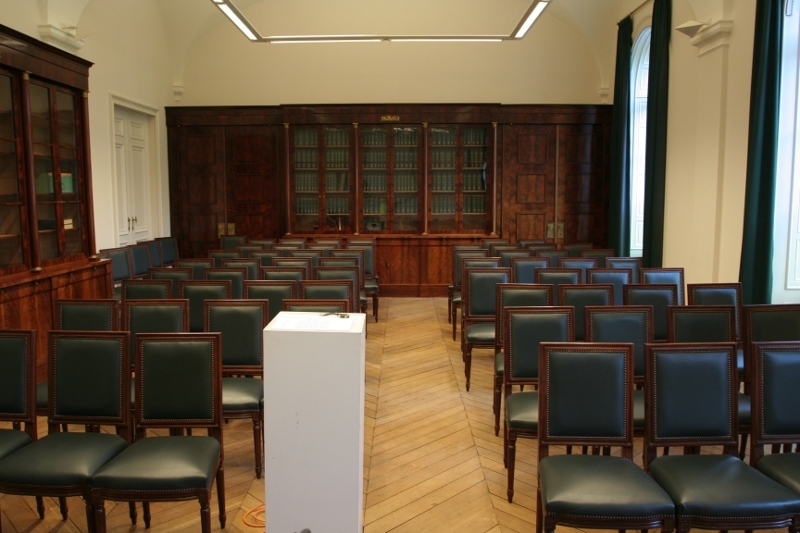 The Stevin Room is located on the first floor of the Palace. Historical outline: The salon vert and antichambre, used for the big banquets. 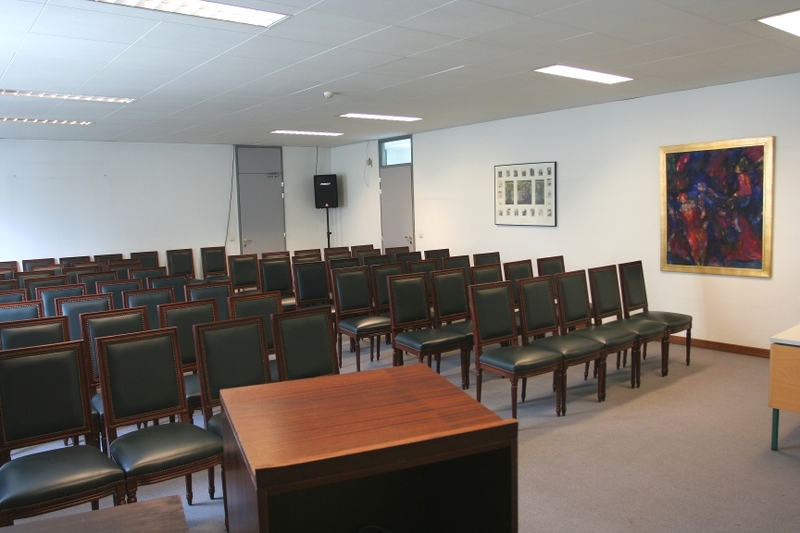 Both rooms are now typically used for the Class meetings of the KVAB. 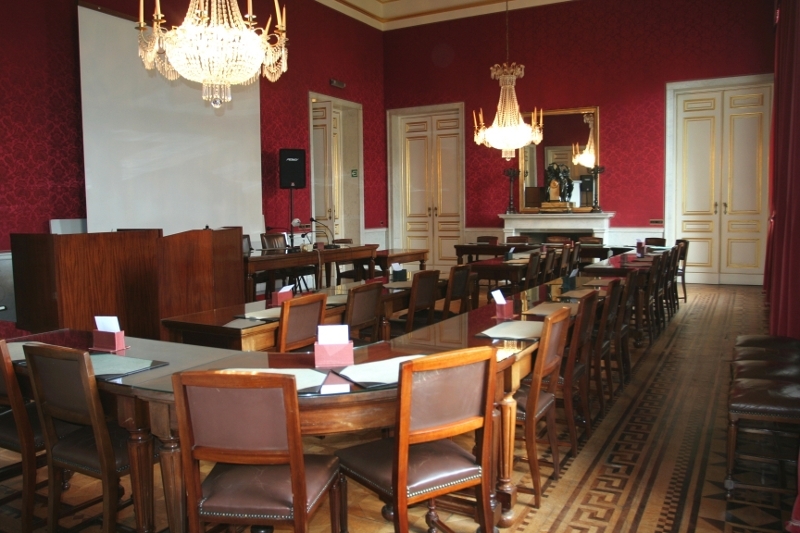 The intimate Lipsius Room has an attractive Italian-style coffered ceiling. 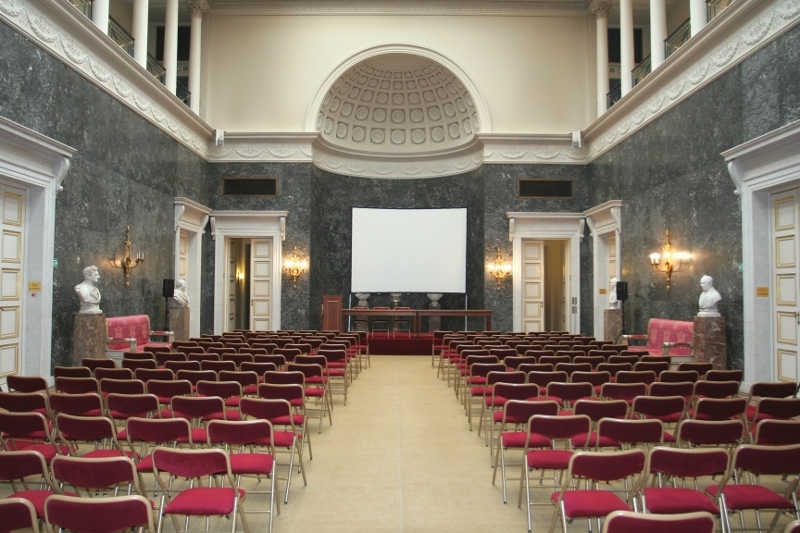 The Rubens Auditorium is located on the ground floor of the Palace. Historical outline: This room was originally used as a chapel for the orthodox ceremonies which Anna Paulowna organized. 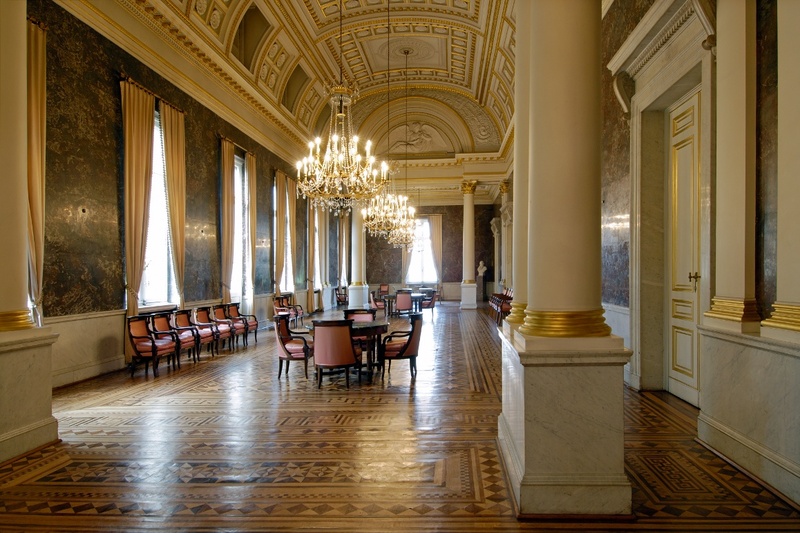 The Lipsius Room is located on the first floor of the Palace. 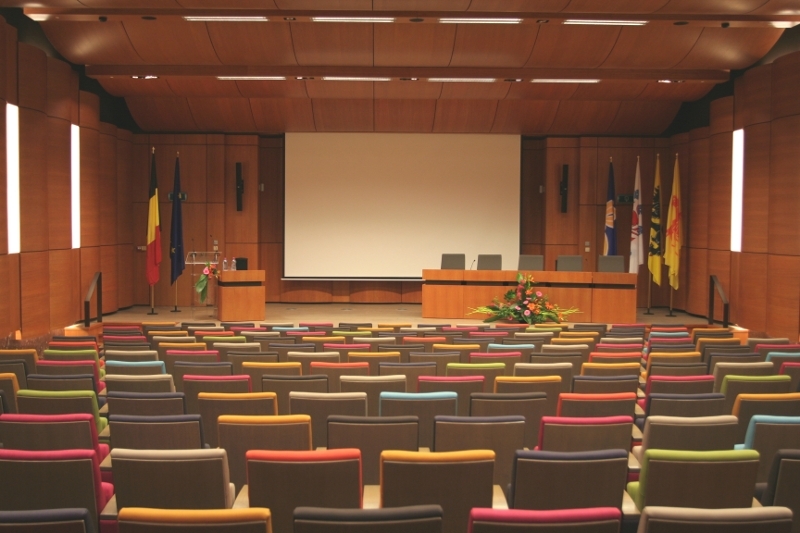 The Albert II Auditorium is located on the ground floor of the Palace. 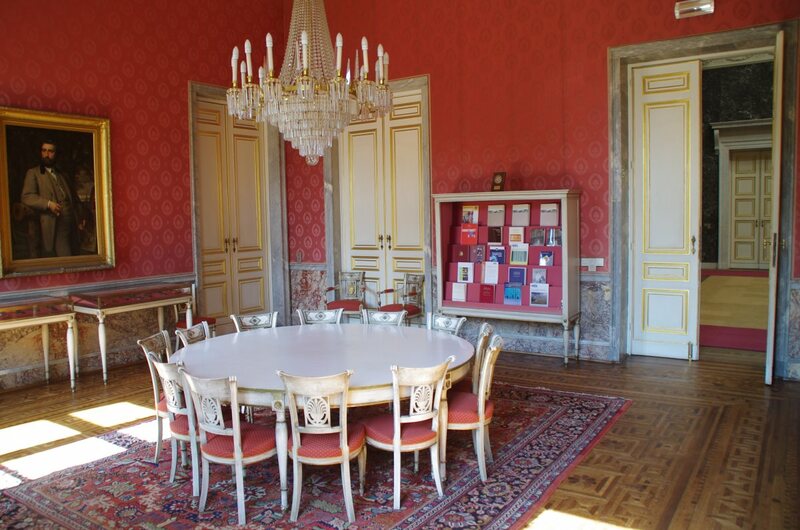 The Marble Room is is a multifunctional room and is located on the first floor of the Palace. The Throne Room is a multifunctional room and is located on the first floor of the Palace. 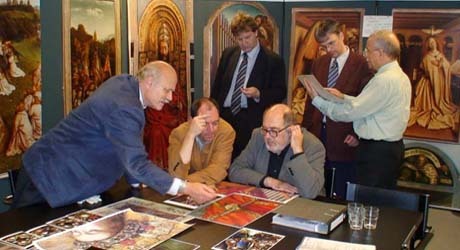 The Van Eyck Room is located on the second floor of the Throne Building. The Atrium is located on the ground floor of the Throne Building. The Ockeghem Room is located on the ground floor of the Throne Building. 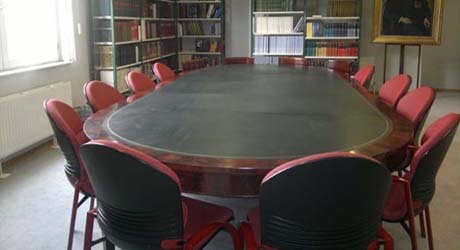 The Reading Room is located on the ground floor of the Throne Building.